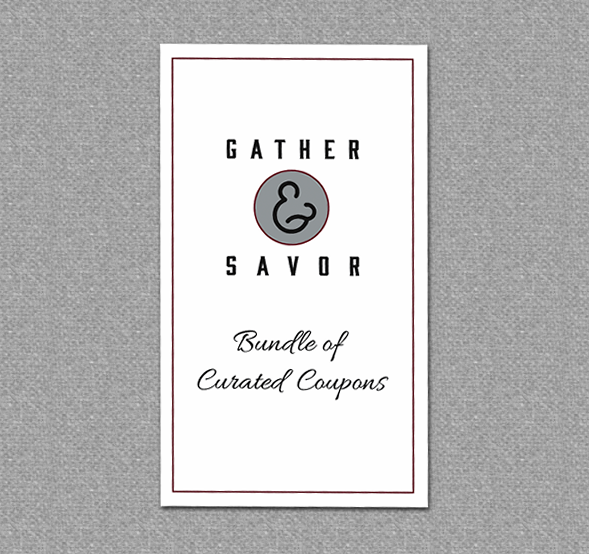 Using the Gather and Savor Bundle of curated coupons is the perfect way to get out and about around Spokane and try a lovely variety of coffee shops, restaurants and bakeries. 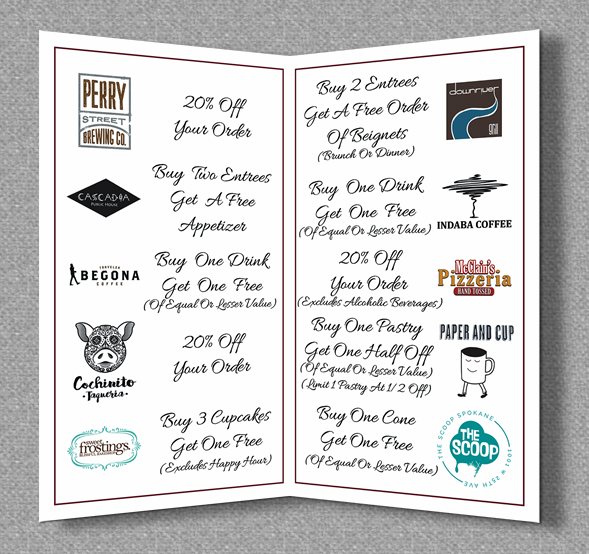 The bundle includes a discount coupon to 10 different local businesses. The coupons are good for a "one-time use" discount and will be valid for use from now until February 15th, 2019. For ease of use and convenience for you, we've designed the bundle card to fit in your purse or wallet as it's the size of a business card. When visiting one of the 10 participating businesses, just present them with that particular coupon and the discount offer will be given. These make make wonderful gifts for your coworkers or friends and are the perfect stocking stuffers.